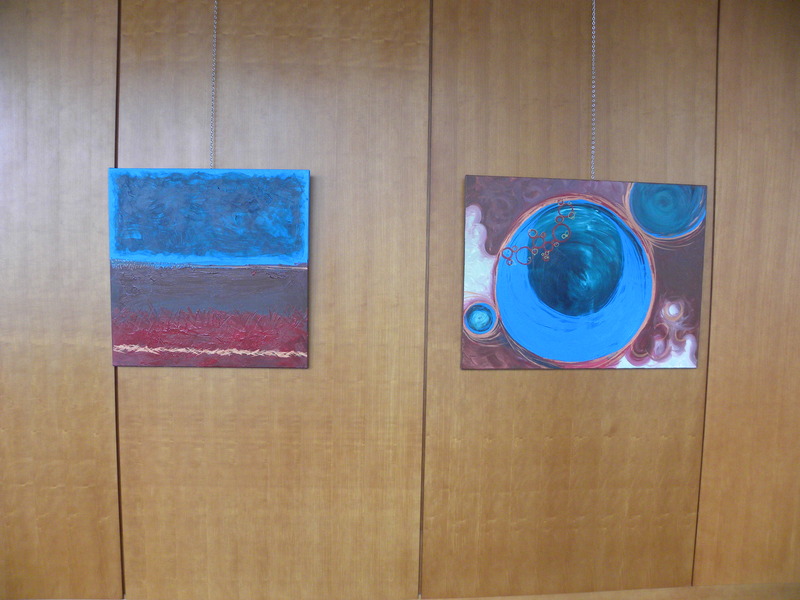 ​(VIRGINIA BEACH, VA) – Linnea Heide’s thought provoking abstract paintings are the latest artwork to be featured in the Sandler Center Art Gallery and can be viewed from July 9 through September 7, 2012. A native of Norfolk, Virginia, Linnea Heide worked as an advertising agency art director from 1996-2006, until she finally decided to fly from the corporate cookoo's nest and began freelancing out of her home. She holds a Bachelor’s degree in Fine Art and Graphic Design from Old Dominion University and a MFA in Visual Communications from Virginia Commonwealth University. She has also taught fine art to grades K-12 and topography and graphic design courses at VCU, ODU, and TCC. After deciding to freelance from her home, Heide became a master gardener. She then went back to school for a degree in landscape design and horticulture and became involved in floral design and painting. All of this transitioning happened in less than 5 years. Within that timeframe she finally realized abstract art is where her heart lies, because abstract art is open to emotional interpretation that comes from the soul. The artist feels her absolute best when she is plugged into that awe-inspiring creative energy that surrounds us all. “This 'information age' we are currently living in bombards us with inundating, disjointed fragments of visual information that, over time, tends to dull and numb our visual senses. Abstract art just may be an essential resurging movement that may re-boot our over stimulated visual vernacular. It's the beautiful, elemental 'white space' we all crave,” she states. Notably, she has exhibited at the Parallax Art Fair; Ocean Park Fall Festival; East Beach Art, Jazz + Wine Festival; Stockley Gardens Fall Arts Festival and in numerous shows throughout the Hampton Roads area. 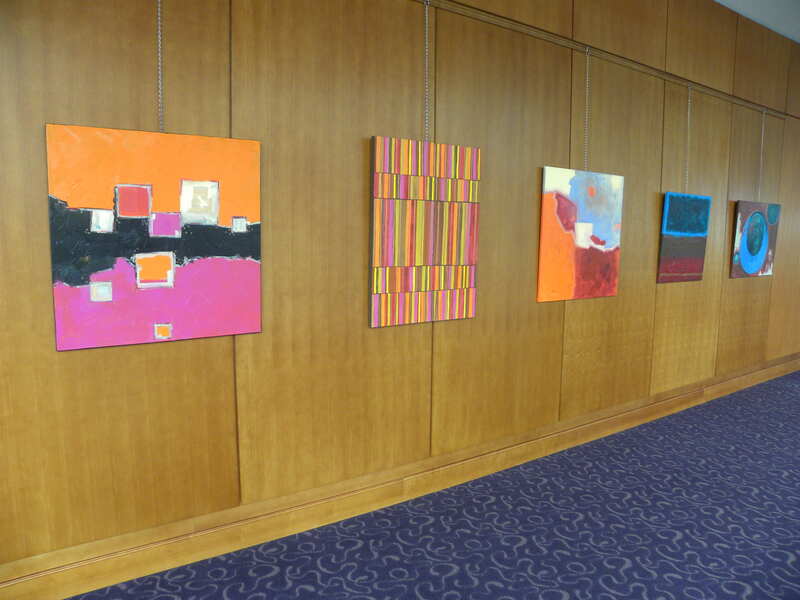 Come see her thought provoking yet emotionally appealing abstract paintings at the Sandler Center Art Gallery from July 9 through September 7, 2012. The gallery is free and open to the public on Monday through Friday from 10am to 6pm, Saturday from 10am to 2pm or during any performance at the Sandler Center. ABOUT THE CITY OF VIRGINIA BEACH’S OFFICE OF CULTURAL AFFAIRS: The City of Virginia Beach Office of Cultural Affairs fosters an environment that encourages innovation and excellence within the local arts community. Cultural Affairs, along with the Virginia Beach Arts and Humanities Commission, funds programs and services that build community and transform lives by enhancing enjoyment, understanding and participation in the arts. For more information on the Office of Cultural Affairs, visit www.vbgov.com/arts. For more information on the Sandler Center Art Gallery, visit www.sandlercenter.org/artgallery.